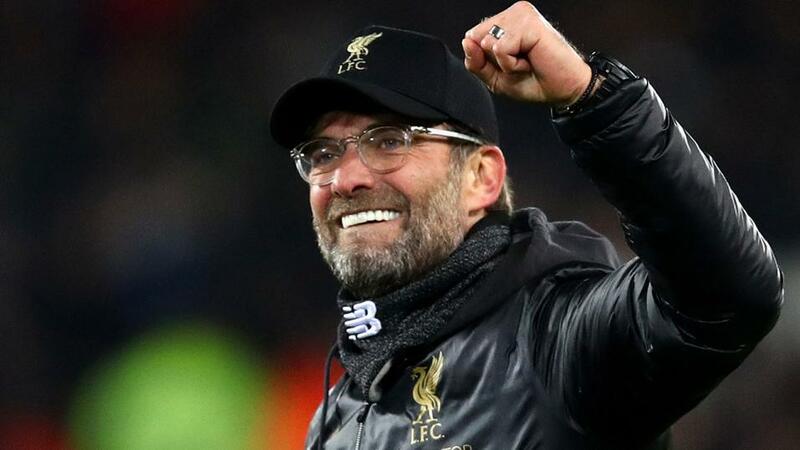 "The Merseysiders went off shorter against Arsenal (1.39), Man Utd (1.55), Spurs (1.60) and Napoli (1.64), all fixtures Jurgen Klopp’s charges won"
Liverpool took command of their Champions League quarter-final with Porto thanks to two first-half goals in the first leg at Anfield on Tuesday night. Naby Keita put the Reds in front in just the fifth minute before Roberto Firmino tapped home the second before the half-hour mark. However, Jurgen Klopp's charges were not at their fluent, attacking best in midweek. The Merseysiders were comfortable for much of the first 70 minutes but tensions grew late on when Porto came forward. Liverpool will be grateful that Moussa Maraga spurned four chances - two in each half - although the hosts could have scored more goals of their own in the opening 45 minutes before taking their foot off the gas after the interval. With Sunday's showdown in mind, Klopp felt comfortable enough to replace both Firmino and Sadio Mane in the dying embers of the encounter. The Liverpool boss will have left-back Andrew Robertson available again following a Champions League suspension, and hopes are high that Georginio Wijnaldum will be fit enough to start back in midfield. Eden Hazard scored one of the goals of the Premier League season as Chelsea beat West Ham to climb into third on Monday night. Victory marked the Blues' third consecutive league success - the first time Maurizio Sarri's side have achieved such a return since September - and the triumph was confirmed late-on by the in-demand Hazard. Hazard, who has been strongly linked with a move to Real Madrid this summer, evaded five players during a stunning run, before the Belgium forward calmly beat keeper Lukasz Fabiansk to open the scoring. He capped a magnificent individual performance in an entertaining encounter with a powerful low finish, sealing a deserved win for Chelsea. Gonzalo Higuain hit a post, while Hazard was also denied a penalty as the Blues bossed proceedings ahead of their Europa League quarter-final tie away at Slavia Prague on Thursday evening. English youngsters Callum Hudson-Odoi and Ruben Loftus-Cheek will hope to keep their places after being handed consecutive Premier League starts by Sarri. Liverpool haven't won any of their last six Premier League games at Anfield against Chelsea (W0-D4-L2) - the Reds have never endured a longer winless home run against an opponent in the competition. Meanwhile, the Blues have only lost twice in their last 16 meetings with the Reds across all competitions (W6-D8-L2), with both losses arriving at Stamford Bridge. Nevertheless, Liverpool are firm and fair [1.68] favourites on Sunday. The Merseysiders went off shorter against Arsenal (1.39), Man Utd (1.55), Spurs (1.60) and Napoli (1.64), all fixtures Jurgen Klopp's charges won. The Reds are unbeaten in 37 Premier League outings at Anfield and have W18-D3-L0 on Champions League and Premier League duty this season. Chelsea [5.90] were fortunate to overcome Cardiff in their most recent domestic away day, and their trip to Prague on Thursday night is a nuisance for Maurizio Sarri's preparation. The Blues have also routinely come unstuck at Big Six teams, losing six of their last eight at the Premier League's elite, whilst returning W2-D1-L6 at clubs in 13th and above this term. Over 2.5 Goals is rated at [1.79], an appealing price considering it's proven profitable in three of Liverpool's four home ties against Big Six opposition, and six of their most recent nine further back. The Reds have leaked in seven of their last 11 league matches, although the hosts have scored at least twice in 12/16 (75%) of domestic matches on Merseyside. Chelsea have failed to keep their sheets clean at top-half opponents under Maurizio Sarri, shipping two goals or more in five of those six showdowns. The Blues have been consistent in the goals markets on their travels with 12/16 (75%) road trips returning at least three goals with the capital club seeing an average of 2.80 goals per-game as guests. With Liverpool expected to continue their title charge with a victory on Sunday, it could pay to add in Over 1.5 Goals for a much more attractive offering of 9/10 on Betfair Sportsbook's Same Game Multi market. This angle of attack would pocket us profit with a Reds victory by any scoreline, other than 1-0.